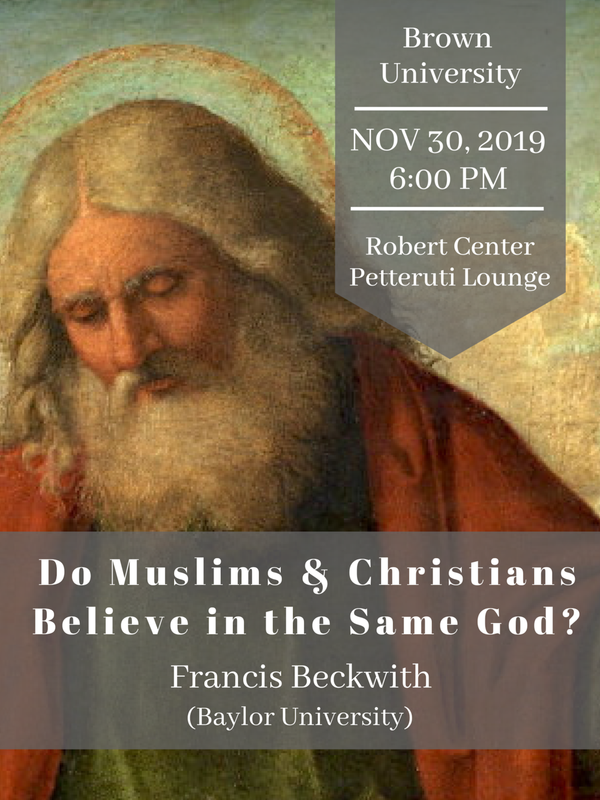 6:00 PM | Do Muslims and Christians Believe in the Same God? Francis J. Beckwith is Professor of Philosophy & Church-State Studies at Baylor University, where he also serves as Associate Director of the Graduate Program in Philosophy. Among his over one dozen books are Defending Life: A Moral and Legal Case Against Abortion Choice (Cambridge University Press, 2007), Politics For Christians: Statecraft As Soulcraft (IVP, 2010), and Taking Rites Seriously: Law, Politics, and the Reasonableness of Faith (Cambridge University Press, 2015), winner of the American Academy of Religion's prestigious 2016 Book Award for Excellence in the Study of Religion in Constructive-Reflective Studies. He is a graduate of the Washington University School of Law, St. Louis (MJS) as well as Fordham University (PhD, MA, philosophy).